It's the end of term, Joe Root has been allowed to wear his own clothes into school and bring his games in, and we look back on who had a good tour to India, and who needs detention. These guys have played through injuries, pain as well as the Delhi Belly which will give you a bum like a dragon's nostril! As we all know, England won the series 2-1 and we let you know who deserves their gold, frankincense and myrrh, and who should get just a lump of coal this Christmas. Should have had a perfect 10, but for a couple of dubious decisions going against him, as well as needing to learn just a little bit more about captaincy. The Essex man had a fine series, with hundreds a plenty and led from the front. With his birthday on December 25th, Cook wasn't far short from turning water into wine on this tour! Injuries to his heel haven't helped and he was flown home early, but the Notts man has been bowling a good 7-8 mph down on his top speed. I preferred him when he was petulant and had a bit of fire in his belly. He was a better bowler. Should we take the vice captaincy away? A lump of coal for this man I'm afraid. Came to the party late after an inspirational spell in the third Test at Eden Gardens. On pitches not really suited to him, he bowled his arse off showing who is the senior bowler in England's pack. Up there with the best in the world. Definitely send some gold, frankincense and myrrh up to Burnley. Apart from having a fantastic Movember didn't really do much. Unlucky to be dropped for Ian Bell but would he have scored a hundred in the final Test? Will have to wait a bit longer for his chance I'm afraid, but being a Yorkshireman he will have learned from our mate Fred Boycott, and will have plenty of patience. Not a batsman who thrives in the subcontinent it has to be said. His first ball dismissal in Ahmedabad had the maturity of a certain presenter of a radio show that broadcasts cricket! His ton in the final Test will be enough to get him on the plane to NZ but still has a lot to prove. A fine short leg! Bressie Lad's performances have gone down the pan in recent times and he must be looking over his shoulder at the likes of Chris Woakes? Another not really suited to the pitches he played on, maybe it is time we looked elsewhere. A lump of coal for the Yorkshireman, and lucky to get that! An ok start to his Test career without really setting the world on fire. Needs to start converting his starts into big scores if he wants to cement his place. Did well against the turning ball, and won't get many spin attacks opening up against him. Like a tampon, Finn was out for three out of the four weeks, due to injury. When he did play at Kolkata, he was a real handful and the Aussie top order will not be looking forward to facing him in a few months. Brings something different to the English attack. Didn't play a single Test match. Bunny will no doubt find more opportunities in New Zealand in early 2013 where the pitches will suit him. Another not to get a game having been flown out as cover for Finn. The Surrey paceman will have to patient and wait for his chance. Didn't play in any of the Tests and shows that the England hierarchy have put him below Bell and Bairstow in the pecking order. Amazingly the Lord of Luton wasn't picked for the first Test but when he did come into the side, what a difference he made. An ever improving bowler, the Sikh of Tweak offers control for his captain. He does need to learn to flight the ball more though when needing to bowl a side out. Will he ever play for England again? I can't see anyone shifting Swann and Panesar for a while and where else will we play three spinners? Will be sweating on his future like Vanessa Feltz on a treadmill. Not far behind Alastair Cook as England's best bat. His hundred in Mumbai was one of the best knocks I have seen for England. He makes our middle order much more secure and definitely one who will stun more Aussie's next year than Steve Irwin's pet sting ray! An excellent series and one of the senior players who stood up and were counted when needed. Out performed Dhoni with the gloves, he scored vital runs at vital times and must soon be a part of our T20 team. The best wicket keeper/batsman in the world? Root...Father Christmas came early for this lad! 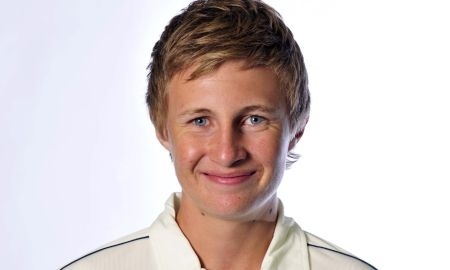 Surprisingly included for the last test in Nagpur, Root had a fine debut. Quick to learn, he showed he can grind it out when needed but also has some flamboyancy such as the reverse sweep in his locker. One not only for the future, but for the present too. Bowled beautifully in tandem with Monty, he also chipped in with some vital runs. Another of the senior pros, along with Anderson and Prior who were the back up to Cook, in the land of technical support! Really showed his experience, and a great tour. Can't believe some people wanted him to be dropped after the horrendous start in Ahmedabad. 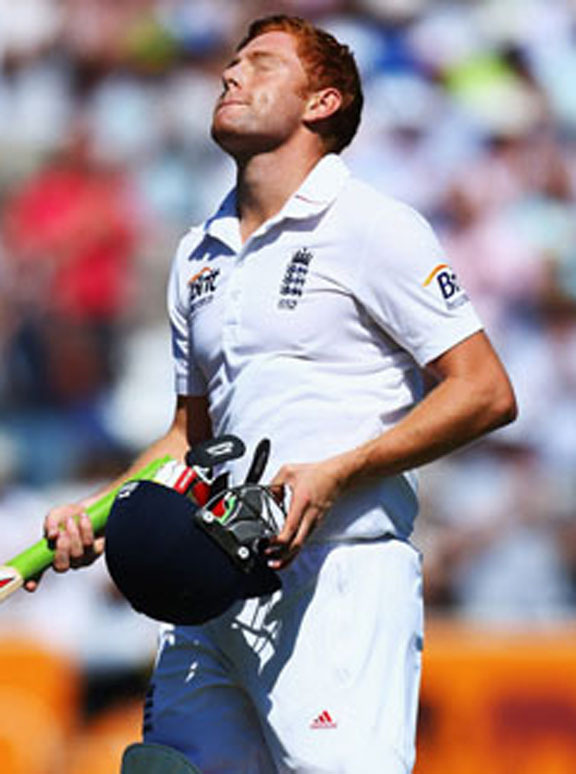 Trott scored a fine ton when the pressure was on in Nagpur, but also scored other vital runs. An excellent batsman and should make hay in New Zealand. Now the show rolls on to New Zealand. Some have points to prove whilst others will want to continue their great form. As usual, England will be brilliantly prepared by Andy Flower. Harsh on Compton, might not have scored the big runs but faced a lot of balls and gave England good starts with the irrepressible Cook. Did the most important part of an openers job well.